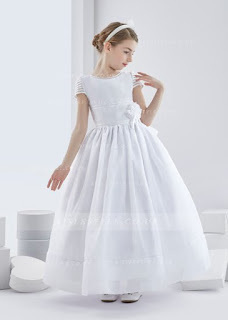 and white communion dresses and was really impressed with the selection at Aisle Style. But I need your help - which dress do you like best? I'm also really excited because they also sell special occasion dresses. And you know me, if I have a new event to go to - I naturally want a new dress too. That being said, I don't actually own anything fancy enough for the events I usually attend. You know when an event is listed as formal, so you chuck on a short dress with some sparkles and glitz and hope they don't realise that you're kind of dating the formal fashion rules? So basically, my story is - I need a long dress. Something fancy but also something not that fancy that I look like a walking mirror ball. But hey, one stone, right? Why not save on postage and order something together? That's the thinking anyway ... I want something that I can wear to a wedding, an event party and also a red carpet do ... I'm enjoying the search!